Look at this Classic Convertible that just arrived here at Auto Group of Louisville. It is a 2003 Mercedes Benz CLK 430 Cabriolet with ONLY 41,125 miles on it...yes, only 41,125! This great CLK430 has a lot of great features too, like Heated Seats, Navigation, Power Convertible Top, Dual Zone Auto Climate Control, Power Second Row Head Rests, AMG Sport Rims, and much more. 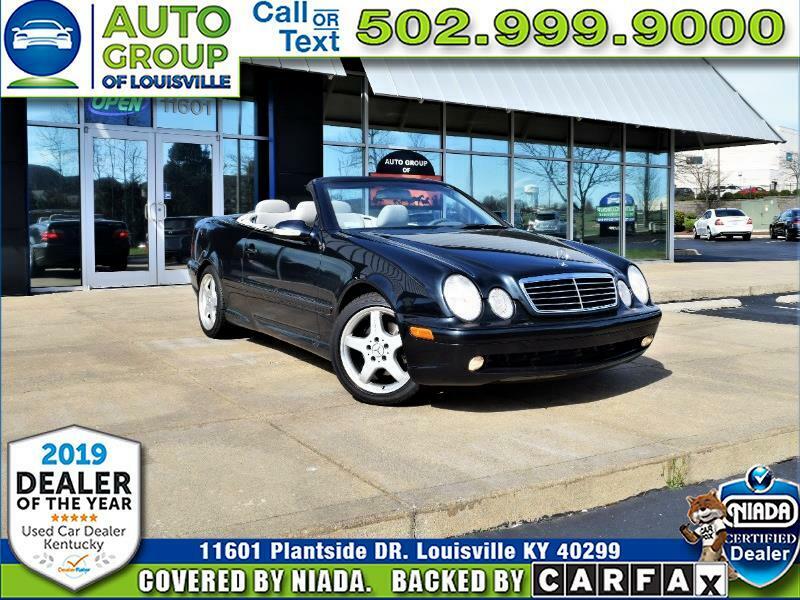 Hurry by 11601 Plantside Drive in picturesque Jeffersontown Kentucky and let one of our Great, Friendly, Knowledgeable Customer Care Specialist show you this great CLK before Convertible Weather is here!